The options are endless when you wear our exquisite multi-layered “Make Waves” rings. Dazzling with AAA cubic zirconia and finished in gleaming gold, rich rhodium and stunning rose gold, these unique rings can be worn in multiple different ways to give you the freedom of style! Stacked up, paired together or worn on their own, these vibrant beauties are a must-have FAC accessory that allow you to create your own sparkling style combo! Nickel and lead free. This is one design you can't resist! 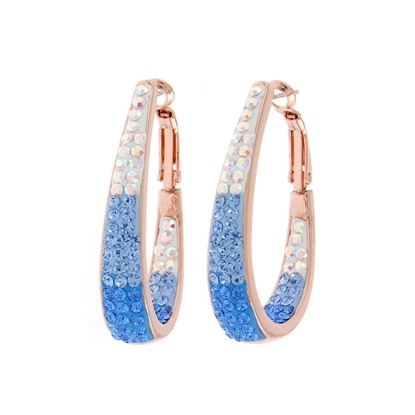 Jaw-dropping rows of vibrant cascading aurora borealis, light sapphire, and sapphire Swarovski crystal on a rich rose gold finished hoop flaunts a dazzling textural shimmer that is both bold and beautiful! Sterling silver posts. Nickel and lead free. Extravagant and rich in both color and sparkle this neckpiece is positively breathtaking! 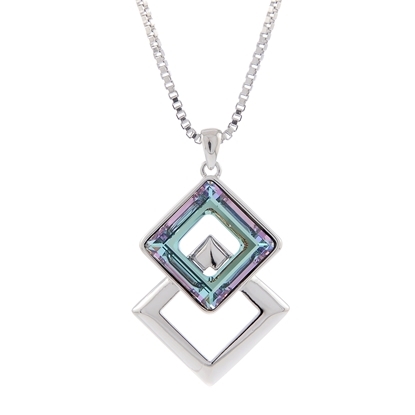 A bold and beautiful geometrical inspired hand-cut vitrail crystal pendant suspended from a intricate 27” designer chain is Fifth Avenue Collection brilliance at its best! Nickel and lead free.